LOS ANGELES (Bloomberg) -- Toyota Motor Corp. set out to audit suppliers in North America following its biggest recall crisis and discovered testing of components wasn't as rigorous as it expected. Some suppliers believed to be testing products four times a year were only doing so once a year, Dino Triantafyllos, vice president of North American product quality, said Wednesday. The world's biggest carmaker is seeking to regain customer trust and market share after recalling more than 8 million vehicles globally for defects linked to unintended acceleration. In Toyota City, it added 40 engineers and created teams to scrutinize the designs of components, according to the company and an outside consultant. “This crisis was a problem that came from the design- development stage,” said Hiroshi Osada, who leads a panel formed by the Union of Japanese Scientists and Engineers to help Toyota evaluate its efforts to boost quality. Closer examination of components “should be able to help prevent quality defects,” said Osada, a professor of management at the Tokyo Institute of Technology and the 2009 Deming Prize winner for contributions to quality control. Toyota also needs to look more carefully at the quality of suppliers' finances, management and ability to expand their operations, he said. The individual reviews in North America typically take about a week and include checks to ensure that assembly processes, such as arc welding of metal, are consistent. Engineers are examining parts considered critical to vehicle safety, such as those involved in braking and turning. CTS Corp., the Elkhart, Ind.-based maker of accelerator pedal components that triggered the recalls in January, was among the first companies reviewed under the new system. No parts suppliers have been dropped so far, he said. The initial reviews, covering a quarter of the suppliers in the U.S., Canada and Mexico, uncovered no new defects. Toyota is a third of the way through audits of suppliers of “the highest priority” parts, and once they are completed, Toyota will expand them to all 700 partsmakers there, Triantafyllos said. With its heightened focus on quality, Toyota is reducing the number of new development projects, Masami Doi, a Toyota spokesman, said without specifying the scale of the cuts. Until recently, Toyota's North American operations had a limited role in design development and quality issues for vehicles made in Japan and sold in North America, said Steve St. Angelo, the region's chief quality officer. The carmaker said last week it added three chief engineers at its technical center in Ann Arbor, Mich., to focus on design. It is opening more than 30 field offices gathering quality-related data in each region, including seven in North America. “We now play a decisive role in quality issues in Japan- made vehicles on the road today and vehicles being designed for the future,” St. Angelo said. Toyota's U.S. sales gained 1.1 percent this year through September, the smallest increase among the top eight carmakers, as recalls for other quality problems spread to its Lexus brand. The company also dropped out of the top 10 global brands ranked annually by consulting company Interbrand. The company's U.S. television ads tell consumers it's investing $1 million an hour “to improve our technology and your safety” and that its vehicles won the most Top Safety Pick awards in 2010 from the Insurance Institute for Highway Safety. New seminars in Ann Arbor for North American suppliers to share details about improvements to engineering and production systems may begin by the end of the year, Triantafyllos said. At least 30 representatives of those suppliers will attend daylong meetings, with additional briefings at their factories and by video conference. “We're going to strongly request the suppliers participate,” he said. By early next year, Toyota will create a database so North American suppliers can provide updates on changes to their processes, replacing the current paper-based system. This will allow faster reviews to ensure parts quality isn't affected, Triantafyllos said. 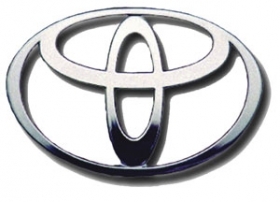 Toyota engineers in Toyota City are also visiting parts makers more frequently, with overseas business trips increasing four-fold compared with before the recall crisis, Doi said. The automaker is more actively consulting foreign suppliers on ways to customize cars for each market, said Shinzo Yotsumoto, head of the Japan unit of TRW Automotive Holdings Corp. TRW, based in Livonia, Mich., is the world's biggest supplier of vehicle-safety equipment. The company's latest improvements made in the wake of the recall crisis will be detailed Thursday for CEO Akio Toyoda, who has linked the defects to the expansion that made his company the world's biggest automaker.